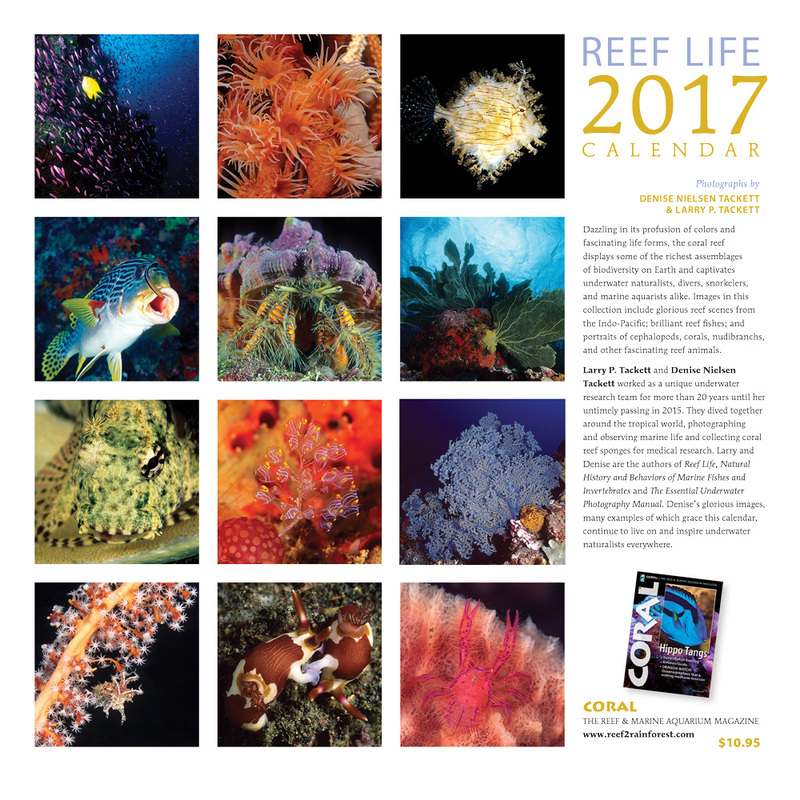 CORAL’s Reef Life 2017 Calendar Now Shipping! Order 2 or more calendars at just $8 each! Order the REEF LIFE 2017 Wall Calendar today! Give 365 Days of REEF LIFE — the one uniquely affordable gift that will be revisited every day in 2017! With images by CORAL Magazine contributors and renowned underwater photographers Denise Nielsen Tackett and Larry Tackett, the 2017 Reef Life Calendar brings a dazzling profusion of world-class underwater images that will fuel the enthusiasm of any marine aquarium keeper, diver, or underwater naturalist. 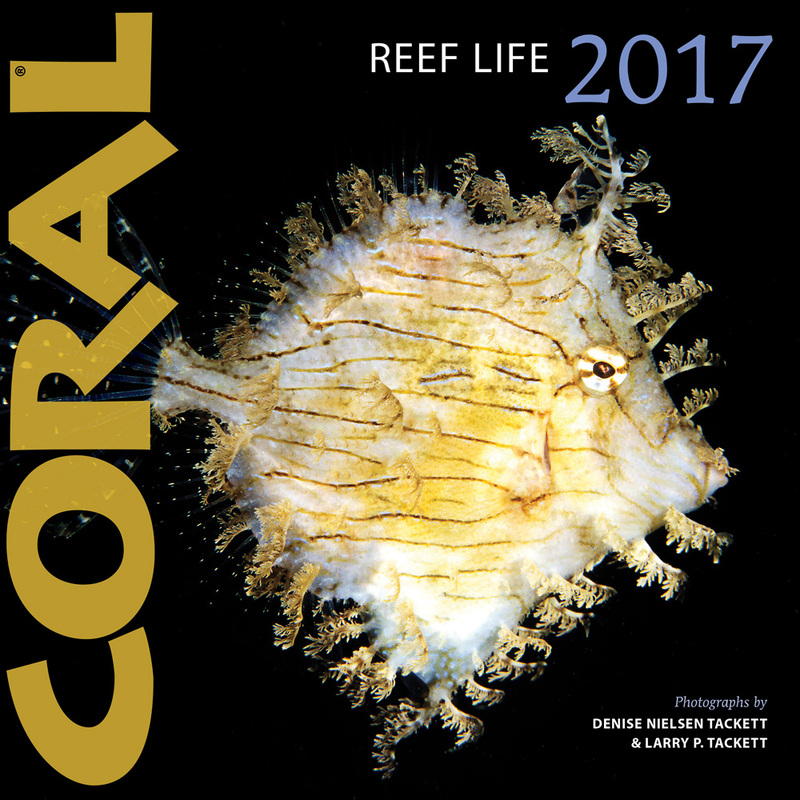 This is the perfect gift for all reef and marine aquarists on your gift list—it is a perennial favorite among CORAL readers everywhere. Full color photography throughout. One world-class image per month. NOW Shipping in time for Holiday Giving – Order Online! Just $10.95 each; 2 or more just $8.00 each! Take a look at all that awaits you in 2017’s Reef Life Calendar. Click to order now!